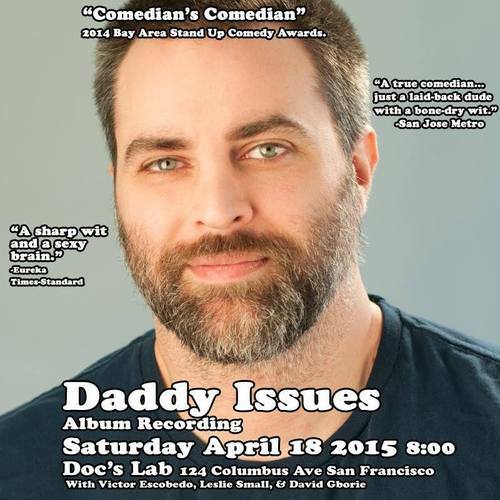 Daddy Issues Issues is an on-going feature in anticipation of Matt Gubser’s album taping in San Francisco on 4/18/2015. Check back here every Saturday for updates. Part 2. Part 3. Part 4. Matt Gubser has a hard task in front of him; hard, not impossible. He has to generate enough interest to fill 90 seats in order to record a successful comedy album in San Francisco without a television credit, a platform, or representation. 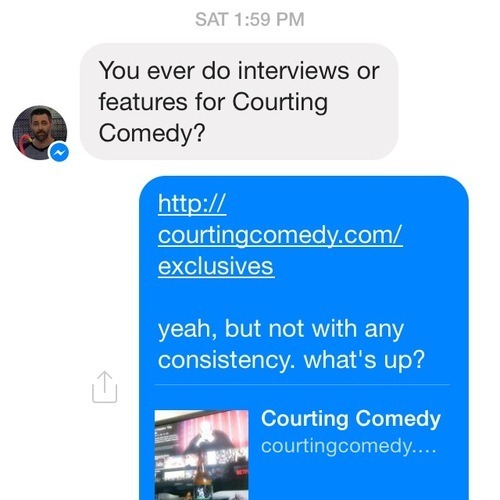 Matt: You ever do interviews or features for Courting Comedy. OJ: Yeah, but not with any consistency. What’s up? Saturday April 18th at Doc’s Lab. It’s tentatively titled Daddy Issues. The event should sell out, probably needs to, but Matt wants cover all bases, to spread the word throughout San Francisco, one of nation most diverse—and distracted—entertainment ecosystems. It’ll be hard, not impossible. As much comedy goes on in and comes from the Bay, it’s atrocious how little coverage, accurate and in depth attention, is allotted to one of our primary exports. It’s hard to determine what came first, an anemic press or an apathetic readership, but either way it’s annoying. At the most you’ll maybe get listed by a couple of hyperlocal blogs like Mission Mission or the Bold Italic, maybe a passing mention in the Chronicle, maybe even a radio spot on Nikki Black. Even then, there’s no guarantee. You have to inspire a revolution, word of a mouth confirmations, a cult of personality, a “where da party at” bombast, a fashionable kingliness or a friendly relationship with a magnetic marketing magnate. Matt Gubser isn’t about that. He doesn’t have a hashtag. He doesn’t have a street team. He doesn’t game the system with a stable of impressionables nor is an unscrupulous businessman. He just tells jokes, very well. He talks about his family, he satirizes society, he’s smart, he’s wry. No gimmicks, no brands, no hype. He respects the craft, he works hard, he goes above and beyond in supporting his fellow comics, and, again, he tells jokes, very well. Daddy Issues deserves more than the usual ignorance or disinterest. It deserves an engaged and hip audience or peers and comedy appreciators. It deserves the opportunity to become a proper comedy album, something of substance to sell on the road or collect passive royalties on. It deserves a campaigning and championing afforded to a W. Kamau Bell or Margaret Cho type, at least for one night. Full disclosure, I like Matt. We’re friends. 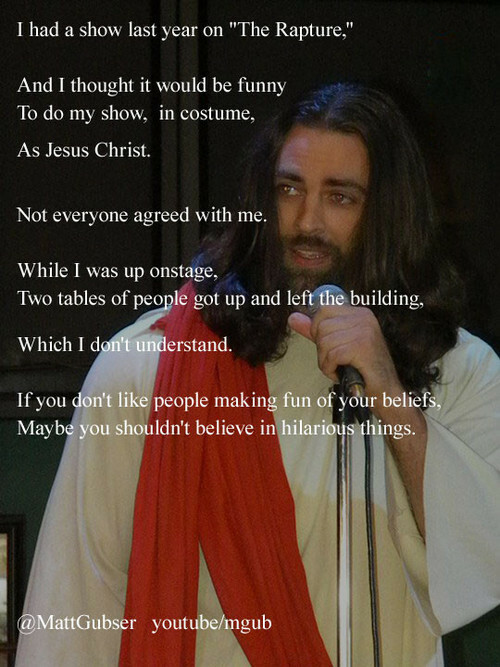 I enjoy his comedy. I’ll be at the taping. 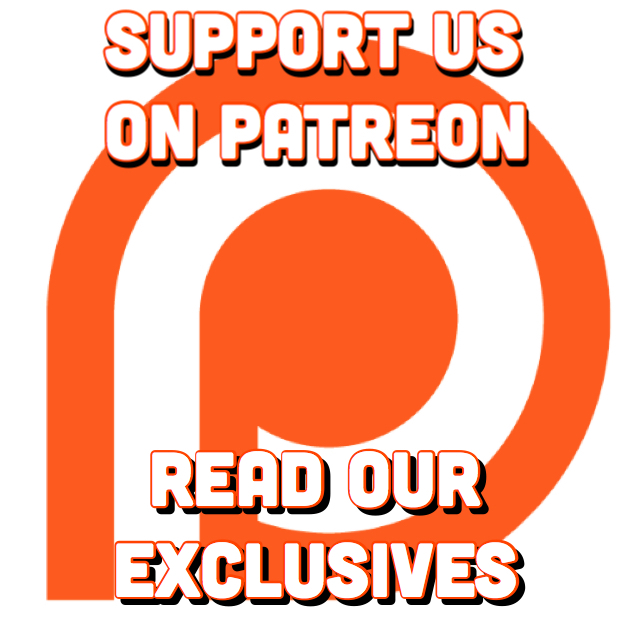 If I can convince one more person to take up the Daddy Issues banner, to support Matt when it’d be most appreciated, I’ll live up to the mission of this blog. It’s gonna be hard; hard, not impossible. Thanks for reading. Come back for more Daddy Issues Issues next week.